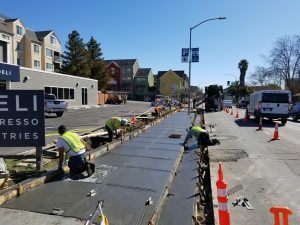 Despite the continued on and off wet weather, Van Midde and Son Concrete and the City have been hard at work completing new sidewalk, curb and gutter. 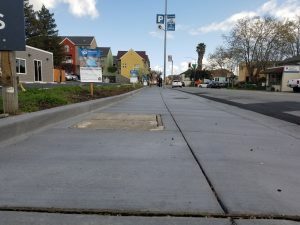 On Second Street alone, 2,000 sqft of sidewalk, 200 feet of curb and gutter, and a new storm drain were recently completed. 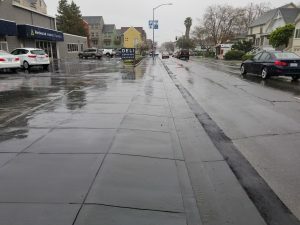 With all the rain, the benefits and improvements were immediately apparent. 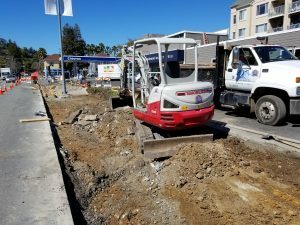 As work in the Sun Valley neighborhood comes to an end, work in the Gerstle Park neighborhood begins starting with three properties on E Street. With roughly 50 locations in Gerstle Park, this neighborhood represents the highest density of participants in the City. Interested in having your address listed on a future update? Here’s your chance! 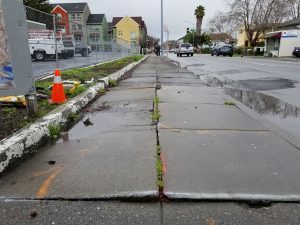 The 2019 Sidewalk Repair Program will open for new applicants on April 2nd. 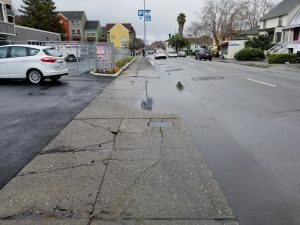 All applicants will receive a free sidewalk evaluation by the City. 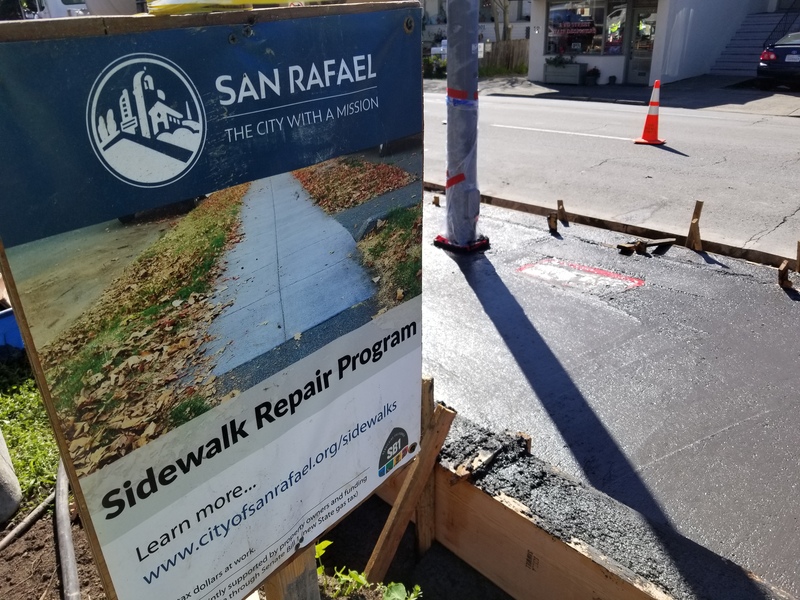 Visit www.cityofsanrafael.org/sidewalk for more information and to sign up.